Currently on 10 maps: GobiDesert, MistyMarsh, DarkMarsh, Island, IcyLand, Volcano, LostLand and FrozenHell. 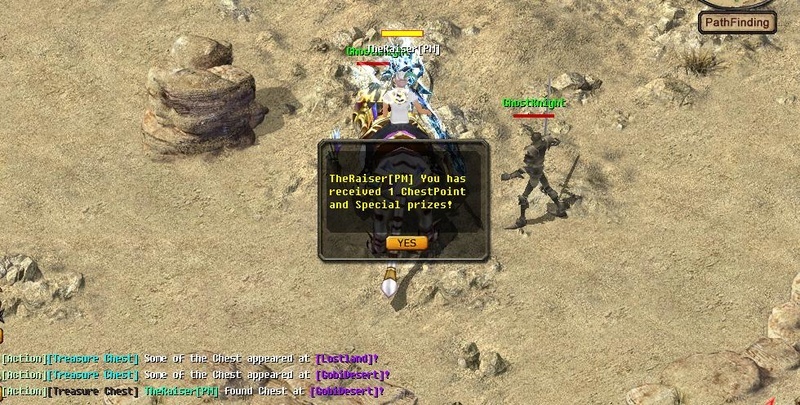 Game will automatically from time to time spawn treasure Chest on random location at randomly chosen map (from chosen list currently). 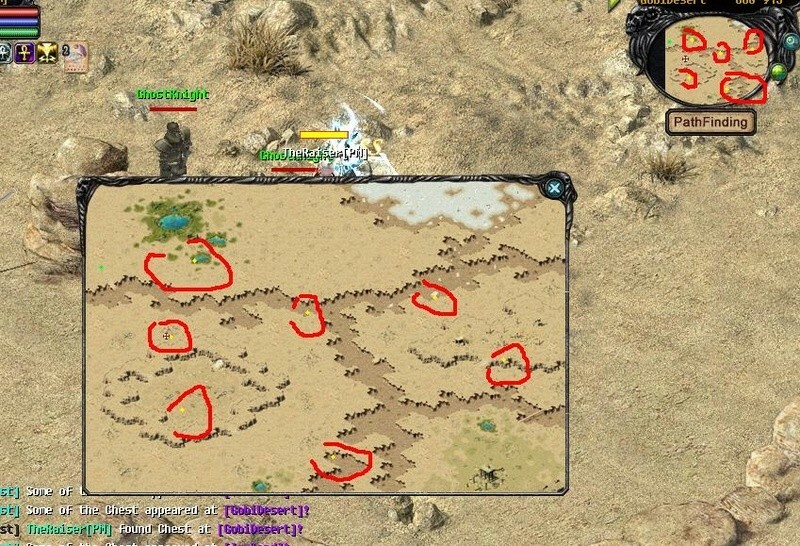 When this happen system will announce information about this under Left Bottom Chat (colored visible information) stating on what map treasure chest appeared. There can be only 9 Treasure Chest Max at one time. When 1 chest will be found by player - this will be announced to everyone as well under left bottom chat system with information at what map chest was found. Chest will be appeared on minutes (11 and 41) every monday - thursday. In 24 hours, chest have limited appeared for 400 chest only. Release the ChestPoint on the Legion Statue to redeem specific legion prizes!